A grand home on an equally spectacular pond golf setting. Amongst the finest homes at Pelican Pointe. The owners engineers took the success of the Arthur Rutenberg St Tropez II and made it larger 2761 sq. ft. and even more desirable. They selected the finest materials and accoutrements incorporated with wonderful surprises. Materials & Accoutrements: 18â porcelain tile in all common living areas with tastefully intricate tile patterns; all cherry and maple cabinets; granite; crown moldings; tray and coffered 10â to 12â ceilings; butlerâs pantry; recessed decorative lighting; volume storage in the laundry room and massive garage. The Surprises: 974 sq. ft. 9â high ceiling 6-car in tandem 3 garage; an 11 X 7 water and fire proof safe room; outdoor privacy tile wall with 3 waterfalls to its curved heated pool with spa jets; elongated summer kitchen under outdoor Cabana; dramatic zero return sliding glass doors that open at the corner to an unobstructed view and access from the leisure room; radius glass windows for the morning room. 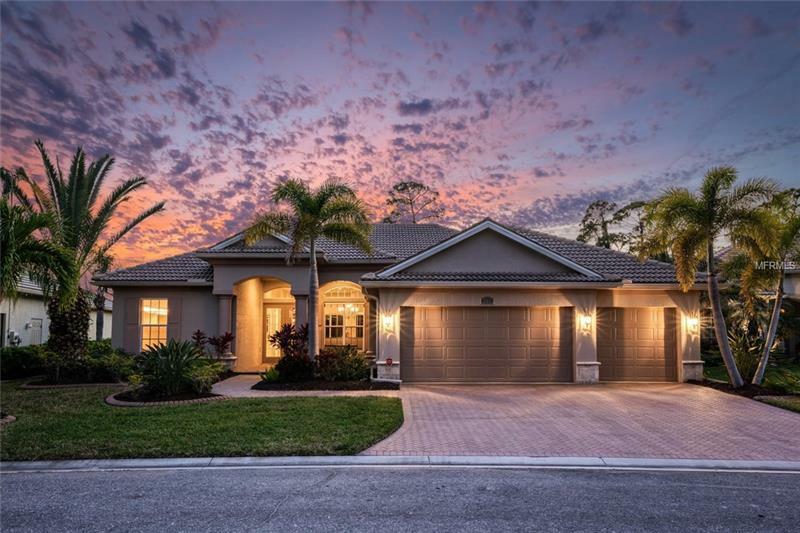 At Pelican Pointe low HOA fees include ground maintenance high definition cable and internet service an active social life at its Clubhouse including dining tennis pickle ball heated clubhouse pool and 27 holes of semi-private golf. And just minutes away are the beaches dining quaint shops biking trails fishing boating cultural and other recreational activities of Venice Island.